No real hint of it but as the song says, “You Must Believe in Spring.” We’re getting the publicity now for the annual Twin Cities Jazz Festival, so summer can’t be far away! Warm up with some great jazz this weekend, from Connie Evingson’s solo debut at the Artists Quarter to the infrequent reunion of Soul Café to the return of live music at Café Maude with the Dean Granros Trio and the really infrequent appearance of Vicky Mountain at the AQ. You must believe in jazz. The new and avant garde took my center stage this past week, along with some good ol’ fashioned swing. • Fantastic Merlins at the Black Dog (April 22). Once a nearly weekly staple in Lowertown, the Merlins have been busy touring together and separately. With New York cellist Daniel Levin now holding down the midsection, the quartet is as edgy and beautiful and strange as ever (see blog, 4/25). • Charmin & Shapira, CD Release at the Artists Quarter (April 22). It was a buy night in St. Paul. The crowd was big and happy, like the music. Get Charmin and Joel’s CD—Dawning and Daylight. • John Pizzarelli Quartet at the Dakota (April 25). No one enjoys going to work as much as John. He sings, he swings, he tells stories and always entertains. • Omar Sosa and the Afreecanos Quartet at the Dakota (April 27). I hope the second night crowd is a lot bigger, this amazing pianist/percussionist/composer and his cohorts (including the ferocious Peter Apfelbaum) can cover the diversity of modern and traditional music in one flurry of notes. For all of her CD releases, solo gigs around the world and here at home, Connie Evingson has barely touched the Artists Quarter stage and never fronting her own band. So this is a debut of sorts this weekend (4/29-30), and she could not ask for a better supporting group with Tanner Taylor, Graydon Peterson, Mac Santiago and Dave Karr. She’ll give us a taste of her latest project, Summer Samba (due out in late 2011) as well as favorite tunes from her diverse repertoire. 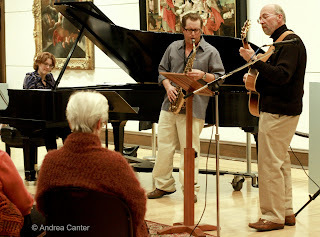 Once a monthly gig through a grant to the Hennepin Avenue United Methodist Church, the trio Soul Café (Laura Caviani, Steve Blons, Brad Holden) performed in tandem with readings of modern poets. Now they perform a few times per year, expanded to a sextet with bassist Jay Young and percussionist Darryl Boudreaux, and the ever expressive voice of Lucia Newell. They’re back at the Hennepin Av Methodist on Sunday night (5/1) to welcome signs of love and spring. Café Maude used to have live music a couple nights a week. Jazz often appeared on the weekends. Then it all stopped a couple months ago. Music is back on Wednesday nights, earlier (7 pm) and sometimes jazz. Like Wednesday night (5/4) when guitar guru Dean Granros , bassist James Buckley and drummer David Seru squeeze into the little “stage” and play very cool music to accompany the very cool menu. A wide-ranging double-header at the AQ on Thursday (5/5). 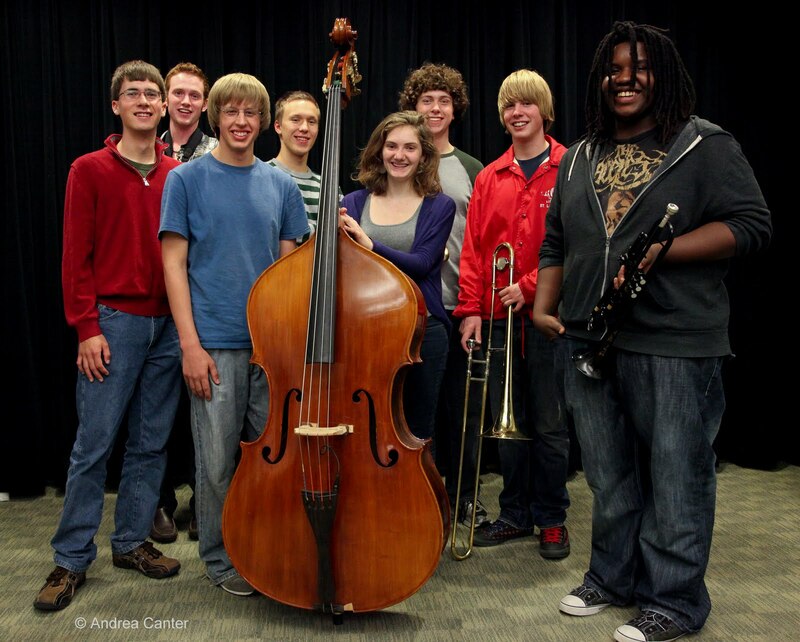 The early set (7 pm) features the Dakota Combo, directed by Adam Linz, part of the Twin Cities Jazz Society’s Young Artists Series. I write about this ensemble frequently—a new group by audition each fall, the best area high school jazz musicians who participate in an intensive rehearsal and performance program. This year the band studied Mingus and ended up finalists in the annual Mingus Competition in New York in February. So expect a set highlighting some Mingus tunes, maybe some originals and more. And it’s free. 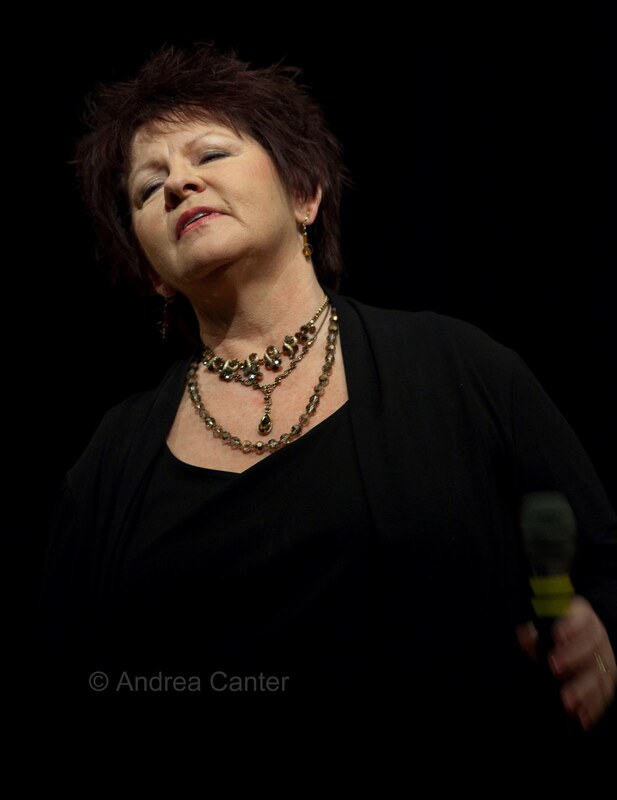 Then at 9 pm, a rare AQ appearance by vocalist Vicky Mountain and the Chris Lomheim Trio. That’s a pairing I am eager to hear. These are two artists who can do anything, everything, and with a lot of pizzazz.